Healthy vision can improve your quality of life. 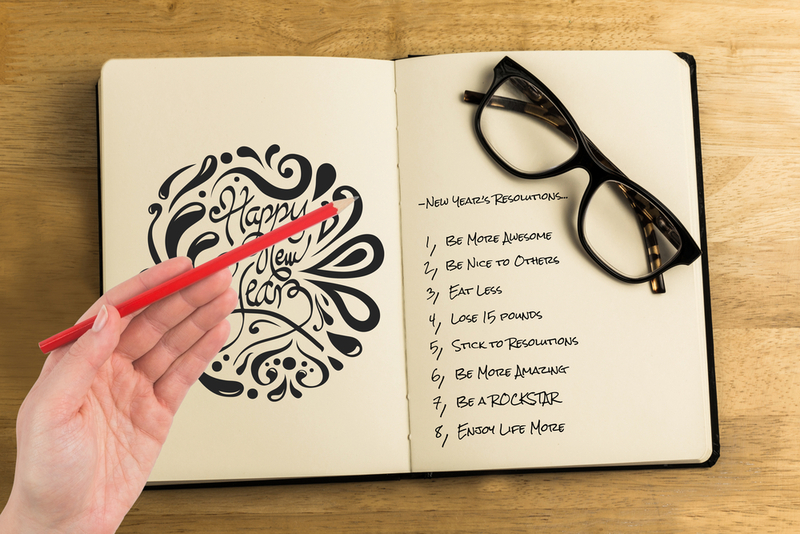 Keep this year's resolution to do what you can to ensure healthy eyes and vision. Here are a few things that you can do to achieve this goal in 2015. Sunglasses aren't just fashionable; they also protect your eyes from harmful UV rays. Don't forget to sport your shades even on overcast days as those damaging rays can filter through the clouds and harm your eyes. Too much exposure to UV rays can increase your risk for cataracts as well as macular degeneration. It can also cause short term eye damage such as photokeratitis, which is a painful eye condition that results in a burn on the cornea -- kind of like a sunburn, but on your eye. In today's highly digital world it is not uncommon for our eyes to become strained, that's why it is so important to remember to rest your eyes. If you work on a computer, make sure you're following the 20-20-20 Rule: Every 20 minutes, take your eyes off your computer and look at something 20 feet away for at least 20 seconds. Healthy vision begins with a balanced diet filled with fruits and veggies. Vegetables, especially leafy greens, contain many nutrients and antioxidants that help to keep your eyes performing their best. Fish a great source of omega-2 fatty acids that help to protect vision and assist in tear production -- helping to prevent dry eye. Omega-3's can also help reduce your risk of macular degeneration, glaucoma and more. An estimated 2.4 million eye injuries occurred in the United States in 2014. These could have easily been prevented with the use of proper eyewear. Whether you're playing sports of mowing the lawn make sure your eyes are protected with appropriate eyewear.